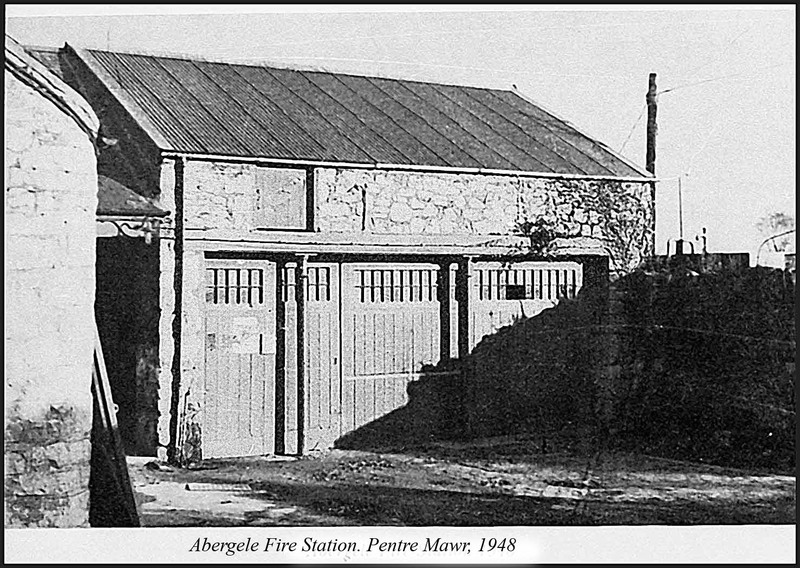 Here’s a photo from the Dennis Parr Collection of the old Abergele Fire Station, Pentre Mawr Park 1948. See also this old fire engine, now restored and owned by Colin Knowlson. It’s possible that the engine owned by Colin was called out of the fire station that used to be next to the Bee Filling Station, Slaters. Does anyone else remember that, as you entered the fire station from Pentre Mawr park, there used to be an old hand operated pump wagon, possibly once horse drawn. It was hard against the wall, on the left-hand side & largely covered in ivy. I wonder what happened to that? Also, the old air raid siren going off, about 6.50 pm each Wednesday. Soon after, the old Green Goddess engines of the Auxiliary Fire Service would race out of the park on their practice exercises. Such dedication.